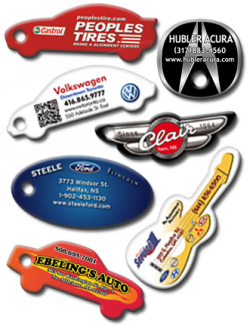 Look at all your customers keys today. This is where they keep their loyalty cards. Their key rings are with them 24/7/365. Enough room for all of your stores important information right at your customers fingertips. 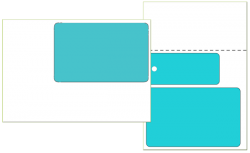 Your business card is a direct representation of your business. 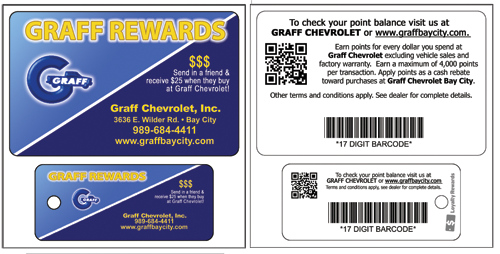 Why not give out a card that stays with your customer forever and more importantly BRINGS THEM BACK? 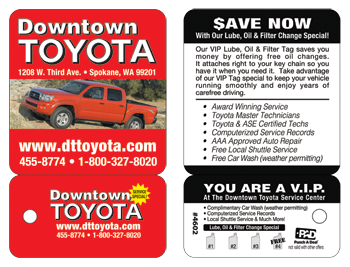 Why not use our 4” x 6” direct mail post card to introduce your new loyalty program to your customers? This self contained mailer is one of the most effective and cost efficient programs available today. Also makes for an ideal piece to personally hand out to every new customer that wants to join your program. 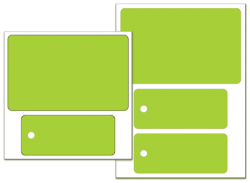 Completely customization or template design. These are one of our most popular products. 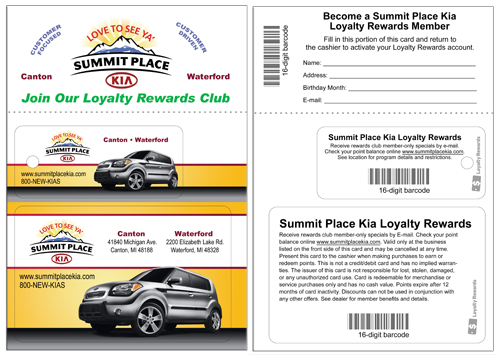 Reach more customers by giving them more choices in how they want to carry your loyalty card. 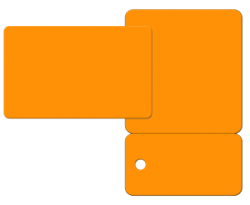 Your choice of 1 wallet card and 1 key tag or for larger families, 1 wallet card and 2 key tags.